Our Fall 2010 issue includes a fascinating and timely article by Hannah Twaddell and Gary Toth, “Transportation Planning for Livable Communities: Measuring What Matters.” Twaddell and Toth cover some very important, but often confusing, subjects that citizen planners (and professional planners, too!) need to be familiar with -- in particular, the role of “level of service” standards (commonly referred to as “LOS”) and the relationship between mobility and accessibility. We thought it would be helpful to further explore these topics with Twaddell and Toth -- and we hope that the discussion below provides a good supplement to what you’ll be reading in their article in the Planning Commissioners Journal. By way of background, Hannah Twaddell is a Principal Planner in the Charlottesville, Virginia, office of Renaissance Planning Group. 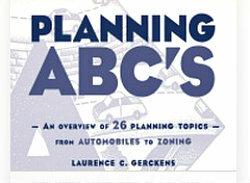 Her articles on transportation planning topics appear regularly in the Planning Commissioners Journal. Gary Toth is the Senior Director of Transportation Initiatives at the Project for Public Spaces. Gary worked for more than 30 years with the New Jersey Department of Transportation, where he spearheaded many innovative projects and programs to promote techniques such as context sensitive solutions, complete streets, transit-oriented development, and smart growth. Gary has authored "A Citizen’s Guide for Better Streets: How to Engage Your Transportation Agency" (pdf file); created a Healthy Living by Design training module for the Centers for Disease Control; and developed a Streets as Places training module for the Main Street program of the National Trust for Historic Preservation. 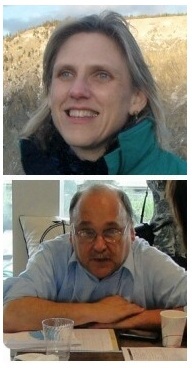 First off, I want to thank both of you for taking the time to further explore what you covered in your article “Transportation Planning for Livable Communities” now out in our Fall issue. You start the article by focusing on what you say is our over-reliance on “level of service” standards in designing roadways. But aren’t LOS standards easy to use and understand, and don’t they focus on accomplishing something almost everyone wants: reducing congestion? LOS standards are easy to understand, which is what makes them so dangerous. They take a very subjective experience like how we react to congestion and boil it down to the pretense of an objective measurement, creating the illusion of science and objectively. What’s more sinister, it uses a scale of A to F that resonates subconsciously and totally with every American. The simple nature of LOS letter grades may be easy to grasp intuitively, but few people other than transportation professionals have any notion of the rationale that goes into creating them (and, sadly, many transportation planners and engineers don’t understand the inner workings of LOS either). It’s remarkable to me that so many educated, smart people just accept being told that LOS is the best and only indicator of roadway performance, and they don’t question how it’s derived. We don’t do this in other areas of life. For example, most of the parents in my daughter’s school system don’t just meekly accept poor grades on their kids’ report cards without trying to find out what’s going on and what can be done about it. Because of this community-driven pressure, coupled with local, state and federal mandates, my daughter’s teachers send me simple but comprehensive reports that document clearly each of the factors that contribute to her overall grade. The reality is that asking someone the simple question: “do you want congestion reduced at a particular location” is a question out of context. It is like asking someone whether they want to never be stung by a bee again. Of course, the answer will be yes. So what we need are broader community performance measures, with LOS not eliminated but considered within the broader context. 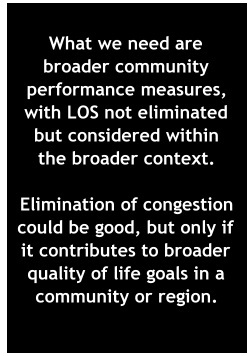 Elimination of congestion could be good, but only if it contributes to broader quality of life goals in a community or region. If we made a point of breaking down the components of LOS clearly -- showing what is and, perhaps more importantly, is not considered a contributing factor -- planners, local officials, community members, and highway engineers might be able to communicate more effectively about what’s really going on and how we could address it. Congestion is obviously an important performance measure. But it’s important to remember that a roadway with minimal congestion problems may be performing poorly in other ways. And the root causes of congestion along any given corridor could be traced to larger network or land use issues that might not be fixed -- and could even be exacerbated -- by widening the “problem” corridor until its LOS grades improve. How Responsive are State Transportation Agencies? In your article, you urge community leaders to “engage with transportation agencies to customize level of service expectations for different contexts along corridors.” Do you see evidence that state transportation agencies are growing more responsive to this? There is evidence, however sporadic, of transportation agencies demonstrating responsiveness to customized LOS expectations. Industry publications like the Smart Transportation Guide for Pennsylvania and New Jersey and the ITE/CNU CSS Guidelines for Urban Thoroughfares actually promote this concept. Florida DOT has adopted Multimodal LOS standards and cities like Charlotte, North Carolina, have elevated pedestrian and bicycle LOS to the level of that for automobiles. We have a long way to go, but the door is opening. [Editor's note: see also Hannah Twaddell's PCJ article "Fitting Roadways to Community Needs: A Look at the ITE Urban Thoroughfares Report"]. The process of coordinated goal-setting is already well established in some ways. DOTs and Metropolitan Planning Organizations, for example, have to agree upon LOS goals in order to develop traffic modeling thresholds for long-range plans. But the art and science of refining LOS goals to reflect different contexts and travel modes is still in its infancy. That’s the sort of devil-in-the-details issue that makes it hard to achieve Complete Streets or Context Sensitive Solutions policies and goals. We need to keep doing the sorts of things Gary mentions in the effort to refine LOS. Local officials and DOTs do need to make the effort to communicate more effectively about it and apply it in more refined, context-sensitive ways. That said, I think it’s even more important to stop relying upon LOS as the only measure of transportation performance. Rather than trying to make this one measure comprehensive enough to reflect all the elements that go into creating a successful transportation system, we need to make it a practice to use a broader array of tools and measures in everyday transportation planning. Do we try to build houses with only a yardstick and a hammer? No. Why, then, do we try to plan transportation networks using only highway LOS measures and a traditional four-step travel demand model? How Can Congestion Be Reduced Without Increasing Roadway Capacity? One of the things you note in your article is that some of our long-standing transportation practices, such as designing roadways to be wider and straighter, can actually decrease safety. But how is it possible to reduce congestion problems and improve traffic flow without increasing roadway capacity? “Capacity” is not the same thing as “lane miles” or “lane width.” Congestion happens when the number of travelers exceeds the space within which they can safely move at their desired speed. You can skin that congestion cat several ways. For instance, you could free up a lot of space by removing some of the vehicles. In order to do that, people will need a viable, convenient way to get to their destination on foot, bike, or bus. 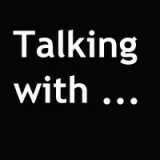 In transportation planner’s lingo, that’s called diversifying your mode share. Or you could keep the same number of vehicles but improve overall traffic flow by reducing the number of times they have to stop for traffic lights or for drivers turning onto or off of the road into a store. That’s called access management. Since every intersection and driveway presents several opportunities for people to crash into each other, you would also be improving roadway safety and reducing traffic backups caused by people rubbernecking around the scene of an accident. Roundabouts is the solution which comes immediately to mind when thinking about solutions which can reduce both congestion while improving safety. Crash data collected from around the country by both DOTs and the insurance industry reveal that roundabouts are remarkably better than conventional signalized intersections in reducing crashes. At the same time they usually improve flow at intersections, where backups at traffic signals are probably the most common cause of congestion and delay for individual motorists. There are many examples around the country where roundabouts have allowed designers to avert expansion of roadways and bridges, thereby reducing project costs while achieving better outcomes. [Editor’s note: for more on roundabouts, see Michael Wallwork’s PCJ article, “Roundabouts: What They Are & Why They Work"]. Another way of easing congestion while improving safety is to integrate transportation and land use. 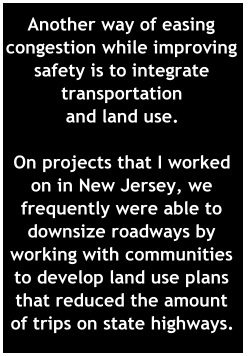 On projects that I worked on in New Jersey, we frequently were able to downsize roadways by working with communities to develop land use plans that reduced the amount of trips on state highways. An integral part of land use plans was the development of a connected local road network which served local land uses, thereby taking the pressure off the state highway. In the Netherlands, Livable Streets led to a remarkable improvement in safety on their roadways. They started in the 1970s with a crash rate 15 percent higher than in the U.S., and now have a crash rate 60 percent lower. To a large extent this was accomplished by relating street designs to the adjacent land use, and slowing down traffic in areas of high need for local access. Congestion has been eased by the fact that this philosophy has fostered incredible increases in trips made by bike or on foot. On a related note, you could create a more connected network of local streets around the congested corridor so that only the people who don’t really need to use the major corridor can avoid it altogether. If you combine the development of a rich local roadway network with access management, you will reap other benefits of allowing traffic to be distributed more evenly throughout the network, such as the availability of alternative routes when there is a crash or an emergency evacuation. If the congestion is in an urban center, the most appropriate solution may be to lower the speed at which drivers expect to go, being sure to reinforce posted speed limits with visual cues from the built environment, such as landscaping, lane striping, sidewalks, and buildings set closer to the street. The lower your travel speed, the higher your effective capacity. And you could avoid creating congestion problems in the first place by attracting development into your urban core instead of clogging up suburban highways on the outskirts of town. Just What Does "Accessibility" Mean? One of the areas that can be hard to understand is the relationship between mobility and accessibility. Most of us understand the need to improve mobility, which you describe as the ability to move people and goods quickly and safely along our corridors. But the idea of accessibility, which you also stress in your article, is a bit harder to grasp. Can you briefly explain what you mean by accessibility, and why it’s important? From the beginning, the purpose of transportation has been to allow people to gain access to make the exchanges that they desire. Those exchanges can be social: visiting with Aunt Millie, or going over to Joe’s for a friendly round of poker. They could be commercial: going down to Trader Joe’s or the corner store to get a court of milk. Or they could be financial: getting to the office to earn wages. Whatever the reason, they always is a purpose: access to people, places, goods, sites, or buildings that bring us pleasure, sociability, wealth, or other need. Mobility can be defined as the ability to travel. It is all about getting from point A to point B easily, which in modern America usually means quickly. At its purest, mobility doesn’t concern itself with what the trip is trying to accomplish. Anything that makes travel faster, cheaper, or more convenient improves mobility. In modern America, since the people, places and goods are no longer placed in close proximity, high speed mobility is necessary to achieve access. Accessibility is all about what the trip is trying to accomplish. We travel not for its own sake but to engage in activities. Therefore, one can argue that accessibility is more important than mobility. You can think of accessibility of a combination of mobility and land use patterns. Accessibility can be improved in two ways -- either through transportation investments that improve mobility, or through more compact land use patterns that locate origins and destinations closer together. In essence, accessibility = mobility + land use patterns. Since the creation of the Interstate System, the U.S. transportation program has prioritized mobility. Transportation professionals have focused on mobility, and have considered the issue of how land use development affects the creation of destinations and activities as someone else’s business. What’s confusing is that we use the word “accessibility” to mean two different things. In its true sense, accessibility is the fundamental purpose of all transportation systems. As Gary says, one way or another, the transportation system must provide us with the access that allows us to make the desired exchanges of goods, services, information, and friendship. Providing high-mobility facilities that get you from one place to another is an important element of providing overall regional accessibility, but it isn’t the only one. The network doesn’t function properly if you can’t get downtown once you leave the interstate. The realization that mobility isn’t the only measure of success in a transportation network has led us to form the second way in which we use the word “accessibility” -- a description of the ability to get from door to door within a fine-grained local context. This is the mixture of multi-modal connections and land uses that Gary describes. In this sense, “accessibility” has become kind of a catch-all word that encompasses any type of transportation facility or system other than a high-mobility highway or rail line. 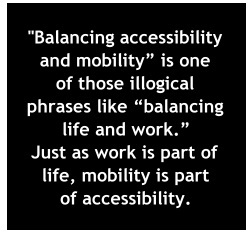 “Balancing accessibility and mobility” is one of those illogical phrases like “balancing life and work.” Just as work is part of life, mobility is part of accessibility.